I've had 8.1 since it was first released in April, and have had my work information and everything out into Cortana add week I've never gotten any traffic alerts or anything like this. Am I over looking a setting or something? 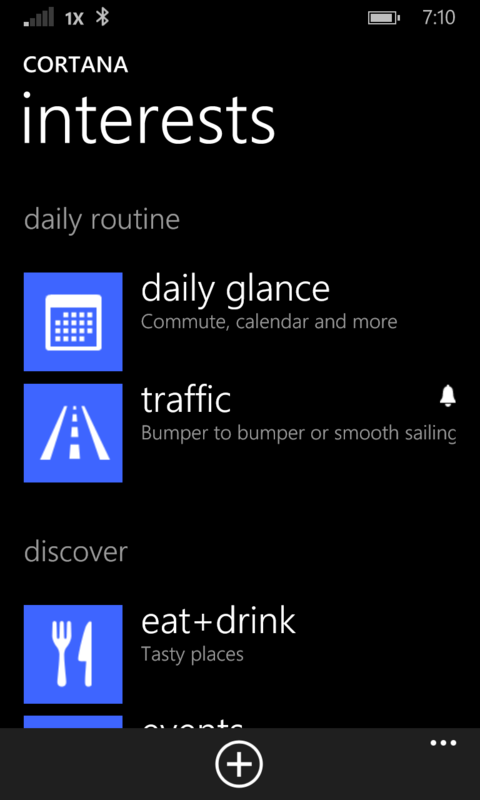 There was a time Cortana told me about traffic when it was time to go home (Not anymore, mind you. I tried kickstarting her to tell me about work. Didn't work. ), but she has yet to alert me to head to work. Sadly, she is intended to do this naturally. Personally, I'd like the option to input my work schedule manually. 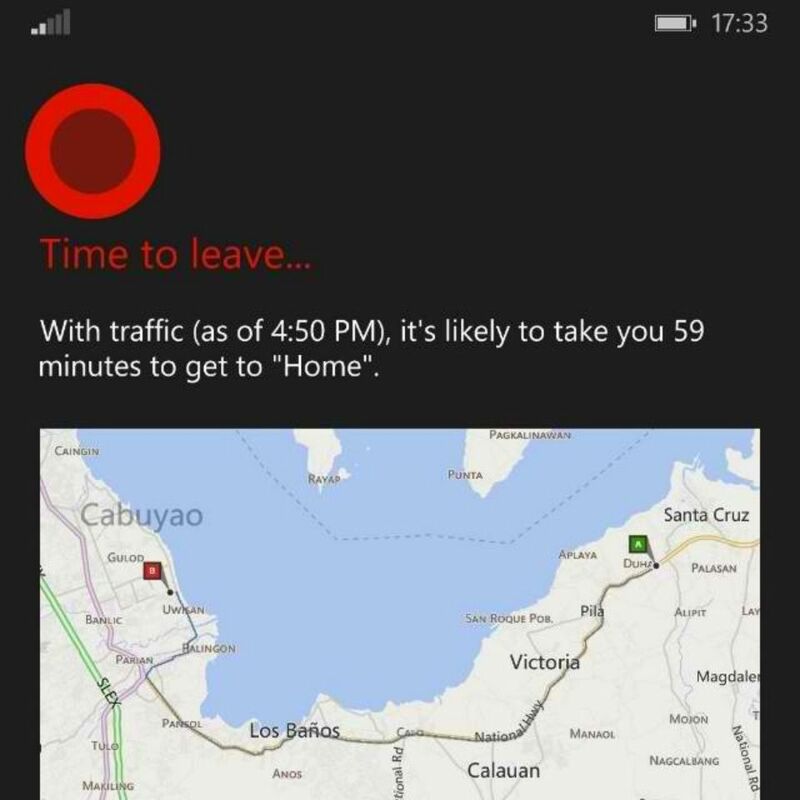 What I did was everytime i would leave for work or to come home I would ask cortana to "Get me to work" or "Take me home". let her open here maps(any nav app u use will do) and simply carry on my way. After I had reach my location I would than just simply thank her for her help. Now idk if that would truly help. But i think she kinda caught on to it. I only did it on friday and saturday (i worked graveyard plus I know forsure that I always worked on those days) so it kinda took me a while to teach her the time i leave and the time i get home. it happened after my 3rd or 4th week. Last edited by ReconVirus; 08-06-2014 at 11:44 AM.